Whatever you may think of Kojima Production's decision to split off Ground Zeroes from the rest of Metal Gear Solid V and release it as a full game, there's no denying that it is a remarkable creation. In terms of its politics, its technology, its systems, and its artistic direction, Ground Zeroes is absolutely fascinating. It departs radically from many of the conventions the series has established over the years, while at the same time it is truer to the motto of "Tactical Espionage" than any of its predecessors. Ground Zeroes is set in 1975 - a year after the events witnessed in Metal Gear Solid: Peace Walker, and casts you as Big Boss on a mission to infiltrate a heavily guarded detention camp in order to rescue two prisoners. Prior to the game's start, there's a brief summary of events leading to the Ground Zeroes mission, and a short cut-scene that introduces "Skull Face", the leader of the mysterious XOF organisation which opposes Big Boss' FOX unit. It's a refreshingly terse opening to a Metal Gear Solid game, and makes it immediately apparent that Ground Zeroes strives to be different. Kojima's writing has grown increasingly indulgent since the release of the first MGS, his games burdened by exhaustive cut-scenes and rambling dialogues. Ground Zeroes, on the other hand, is nearly all about play, only removing you from control during a couple of key moments while you're on mission. 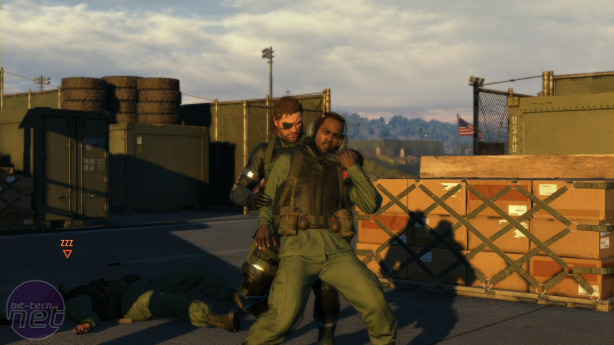 In fact, Ground Zeroes is a very restrained game in general. Aside from the much-discussed running time, the weirder elements of the Metal Gear Solid universe have been dialled back, with only the appearance of Skull Face acting as a nod to the series' penchant for science fiction and the supernatural. Similarly, Ground Zeroes' approach to stealth is very straightforward - stay low, stay shadowed, stay quiet. 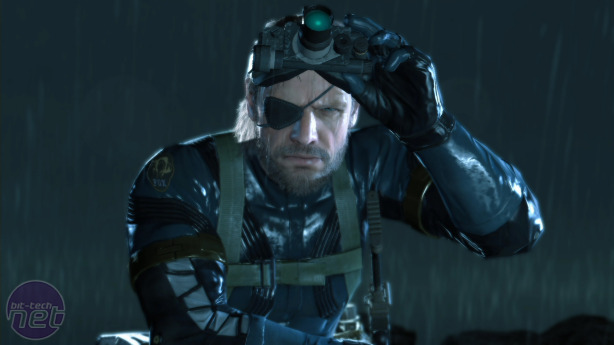 The most advanced gadgets in Big Boss' arsenal are an "iDroid" that gives a real-time updated map of the detention centre, and a pair of binoculars that can mark guard positions on a map. What most definitely isn't dialled back, is the technology that powers the game. 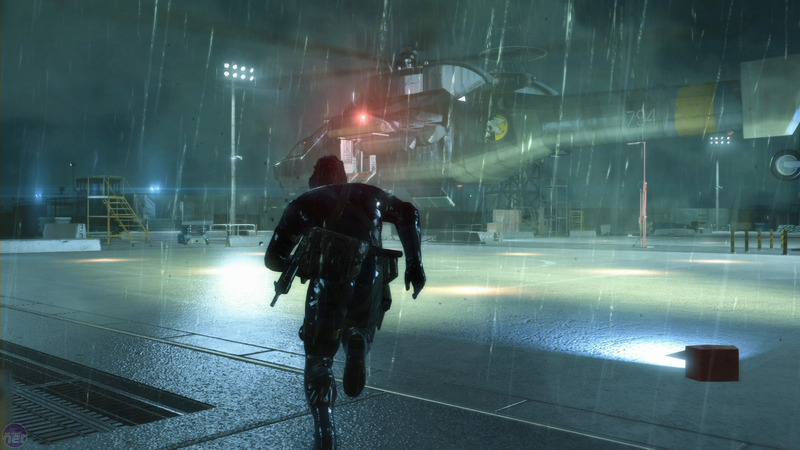 Ground Zeroes looks, sounds, and feels superb. Even on the Xbox 360, visually it's a cut above most other games. This is because the FOX engine's approach to graphical fortitude has nothing to do with resolutions or anti-aliasing or post-processing effects or any other technical gimmickry. Rather, it's about attention to detail. FOX's physically-based rendering techniques are based on vast amounts of research into how different types of light react with different types of surfaces in different conditions, and replicating the results in a virtual environment. It's tempting to say the results are spectacular, but that would be to miss the point. FOX isn't about spectacle, it's about creating a convincing environment, and Ground Zeroes' Camp Omega is very convincing indeed. The reason we bring this up is because Ground Zeroes' pinpoint production values feed into the design intent for the rest of the game. Ground Zeroes is entirely about attention to detail. Navigating your way through the maze of tents and fences and rocky coastline without being spotted by a patrol or a searchlight requires careful planning and speedy execution. Deciphering the story behind Camp Omega involves searching every corner of the Black Site to collect audio logs, listening into guard conversations, and interrogating them for information. There's a particularly brilliant section where you have to find a specific location within the camp by figuring out the route taken there from the ambient sounds on an audio cassette. It's all geared toward making you feel like a spy, the way you collect snippets of information and piece them together to form a plan. Mad Max's open world is brilliantly realised, but it proves to be a wasted land.